What makes ECS Clean Energy Solutions different can be summed up in three basic principles: enthusiasm, commitment, and service. As a rising tide of homes and businesses across the country switch to the sun as a renewable, reliable and cost-effective energy source, the demand for quality solar photovoltaic (PV) products and qualified project developers and installers has soared. Scarcity of product and trained installers are two of the biggest impediments to harnessing the power of the sun. 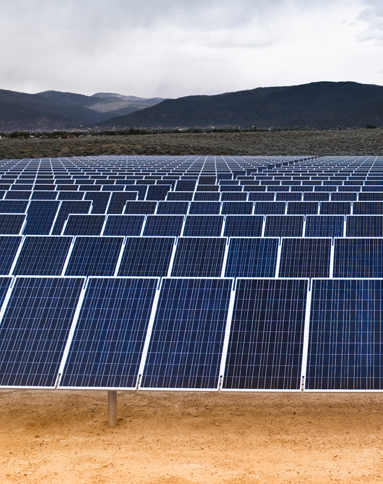 ECS Clean Energy Solutions now provides one-stop solar solutions. ECS Clean Energy Solutions genuinely cares. Our knowledgeable team of industry professionals are committed to being the best; ensuring we meet or exceed our clients’ expectations with every project. Our success is measured by the success of our customers. Our ultimate goal is in our name — Clean Energy Solutions.